In a large mixing bowl, combine the ground beef, ground pork, eggs, almond flours, minced onion, garlic powder with a few pinches of salt and pepper. Slice the mozzarella cheese sticks into 1/2-inch pieces. 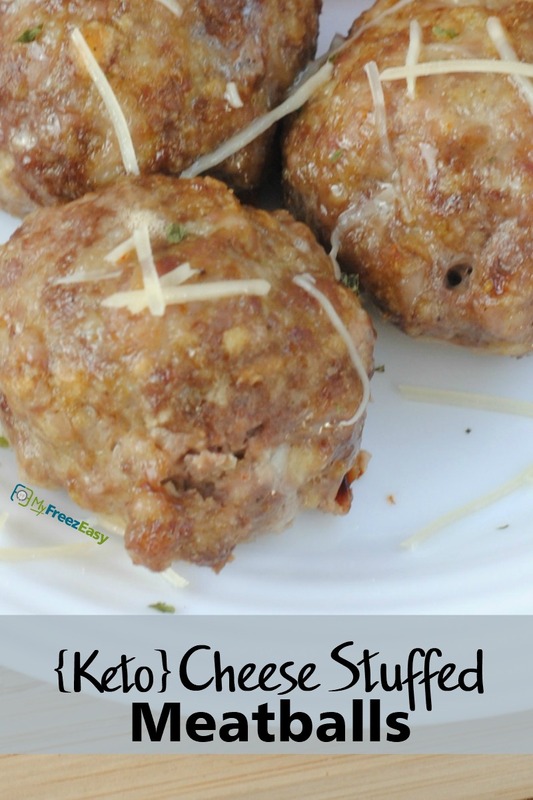 Wrap the meat mixture around each piece of cheese and form into round meatball. Place them in a single layer into a baking dish or baking sheet. Serve Cheese Stuffed Meatballs with favorite veggies. In a large mixing bowl, combine 2 lbs. ground beef, 2 lbs. ground pork, 4 eggs, 1 cup almond flour, 2 Tbsp minced onion, 2 tsp garlic powder with a few pinches of salt and pepper. Slice 8 mozzarella sticks into 1/2-inch pieces. 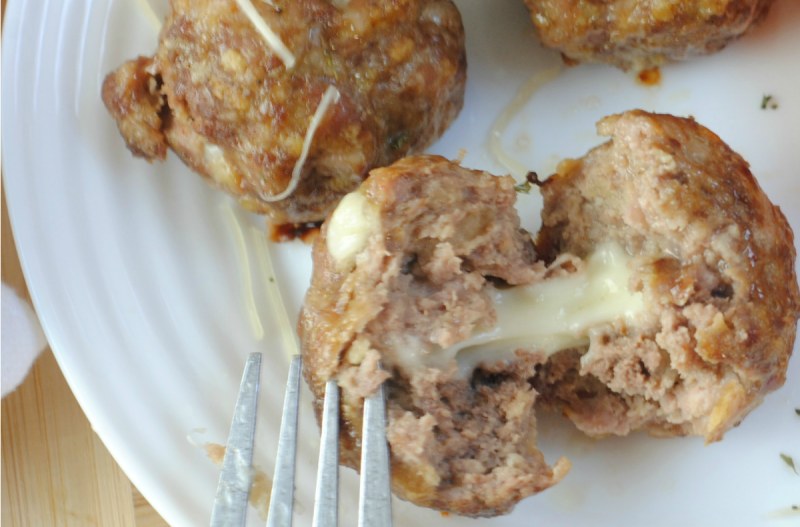 Wrap the meat mixture around each piece of cheese and form into round meatball. Thaw and bake at 375 F for 30 minutes.